“All of Africa in a single Country”. This is a slogan of inspiration for all those who visit Cameroon and especially for expserts in Cameroon’s Ministry of Tourism. This country offers all major characteristics that can be found in other countries in Africa: a highly diverse cultural background found in more than 200 ethnic groups, an exceptional geological, ecological and botanic potential, wildlife in its natural form and varied climatic conditions. This is the main reason why tourism is ranked 10th top priority of the President and his collaborators. 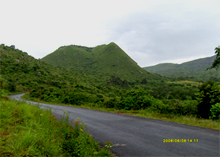 The objective is to make Cameroon a leading tourist destination. The number of tourists coming to Cameroon increased from 200 000 in 2001 to about 300 000 in 2003 and this figure has steadily increased over the years. The objective in 2003 was to attain 500 000 visitors. Cameroon has more than 200 ethnic groups with over 233 languages spoken and a diversity of cultural activities. There are also ecotourist potentials that can be developed from North to south and from East to West thanks to the highly contrasting landscape. Mountaineering and tourism on mountains can also be practiced on the mountain ranges that are found allover the country. Safari can also be practiced by visiting the multitude of National parks which contain a diversity of mammals, birds and other beasts. Henceforth a safari could be a visit to Waza to watch animals, then back to the Northern parks like that of Bouba Ndjidah, or Korup in the south and the Dja national patrimony to admire the riches of nature. The some what median position of Cameroon in Africa makes it really summarize a good number of characteristics of the continent, causing some people refer to it as ‘Africa in miniature’. From the green dense south dominated by the Equatorial forest, there is a gradual change towards a low green savannah and steppe towards the north. The Western section of the country is dominated by a high relief, also dominated by savannah meanwhile the littoral section of the country has an extensive coastline marked by grayish yellow fine sands. There are also interesting aspects of the landscape marked by attractive sites, traditions and people. All these have led to different types of tourism which are practiced through out the year depending on the seasons. Cameroon has a good site for sea and beach loving visitors, with about 400 km of the Atlantic coast stretching along part of the country. Kribi and Limbe towns are the highest points of attraction for tourism on the coast. From these coasts, tourists can also carry out inland tourism to other destinations. In Kribi, there is an excellent beach of white sand extending over a large area with coconut trees from time to time appearing on the scenery. The contact between the Ocean and the sea is also an extraordinary site to see. Another wonder of Kribi is found in the south where a number of cascades of about 30 m high have given rise to waterfalls, the most spectacular being the Lobe fall which issues out directly into the Atlantic Ocean. A little bit above this area are fishing villages; Ebounja and Ebodje in which the activity is believed to be carried out miraculously. From Lobe, further visits on boats and canoes will take you to the discovery of the Pygmies of the equatorial Forest. The Limbe region is close to Douala and has a splendid site marked by the mount Cameroon which dominates the Atlantic region of Cameroon. The road linking the coast to Douala passes along magnificient plantations of rubber, palms and bananas. The geology of the coastal area is generally characterized by a large expanse of grey sand. Also thanks to the geographic situation Cameroon, there is a high diversity of most fauna and flora species found in Africa, with some that can only be found in Cameroon. There are presently nine national parks serving as a safe haven for wildlife in its natural state. This are areas of safari in which visitors can observe, take photos and feel the presence of animals in nature. The Waza National Park is the most popular in Cameroon and one of the most spectacular in francophone black Africa. It is located in the Far North Province and is a paradise for lions and numerous mammals like giraffes, elephants, cheetahs, leopards etc as well as a great colony of diverse bird species. The Bouba Ndjidah National park is a territory for rhinoceros. There are equally lions, elephants, buffaloes amongst others found here. The Benue National Park is at the heart of the northern region and it is a region with the largest antelopes, hippopotamus, hyenas, panthers, buffaloes etc. The Faro National park has a large number of animals amongst which are: buffaloes, rhinoceros, elephants, giraffes etc. The Kalamaloue National Park has elephants, crocodiles and a multitude of birds. The Mozogo Gokoro National park is of high botanical interest, and therefore a good site for research. The Korup national park located in the southern part of the country and has one of the oldest and most beautiful tropical forests in the world. Besides National parks, Cameroon also has a good number of reserves and sanctuaries such as that of Dja and Campo which are great gorilla sanctuaries. Cameroon is also endowed with a rich cultural diversity manifested by a rich and diverse folklore, arts, habitats and ways of life. Every region has a particular folklore and music. In the south there is the Bafia dance, Bekutsi, assiko and others that are very much loved by poets and visitors to the region. In the West, there is the Bamaleke dance, dominated by masked people dancing in very attractive and picturesque costumes. The north is a whole country of fantasia, marked by decorated horsemen in painted costumes, carrying and blowing long trumpets. Handicrafts and arts are made through out the country but the West and Northern parts of the country are leaders in the sector. Bafoussam, Foumban and Bamenda are towns that are noted for their masks, decorated costumes, chairs created in the form of thrones, pipes, sculptures and statues. In Maroua, there is an attractive multicolored market of decorated table cloths, locally tanned leather sleepers, bags and wallets of crocodile, snake or iguana skins, bracelets, hand-made carpets and decorative objects in general. There is also a rich historical patrimony in this region marked by monuments and antiquities as well as very ancient traditional palaces. Cameroon also has abundant potentials for ecotourism; four sites can be visited in this respect like: the Dja reserve, the Korup National Park, the Limbe botanical garden and the Ebodje village. The Limbe botanical garden was created in 1892 by a German horticulturalist in a bid to cultivate certain crops which were not adapted to the climate of Cameroon. Limbe is situated in the South West, beside the Atlantic Ocean. Several small tracks were created in this garden to facilitate easy access by visitors who come there to admire the natural wonders and biodiversity of the site. A jungle village was created at the centre of the garden for cultural manifestations. It is also a centre for international research on biodiversity. Ebodje is a fishing village also located at the borders of the Atlantic Ocean some 50 km from Kribi. Its beautiful beaches are a good site for lovers who can take on excursions in boats organized by fishermen. Ebodje is also a regional site for the protection of marine turtles. The Dja reserve is a world Heritage site declared y UNESCO since 1987. It is located in the south and has the richest natural fauna and flora biodiversity. It has over 1500 animal species amongst which are elephants, gorillas and chimpanzees, more than 107 mammals and a large biodiversity of birds estimated at over 320 bird species. The Korup National park falls amongst one of the oldest Tropical rainforests in the world. Fauna riches in this park can be explained by the fact that this area was not totally cleared off during the last ice age. Its fauna is comprised of more than 400 bird species, 140 fish species, numerous mammals and primates. More than 400 flora species have been identified in this area, with numerous medicinal plants. In terms of ecotourism, the presence of 250 fossilized dinosaur footprints at Manangia (Mayo Rey) are also be an attraction, not forgetting the mount Cameroon with its impressive height of 4070m. It is an active volcano, having a number of small rivers crisscrossing its slopes, some falling as rapids or waterfalls. To the north, the Mount Mandara and the sunny landscapes of the Kapsiki present beautiful sceneries. This area is inhabited by isolated human groups of people who are animists and live totally preserved from the influence of modern civilizations. An example is the Koma people on the Mount Atlantika. Within the confines of the boundary from the South west coasts of the Atlantic towards the interior, there is a vast expanse of forest vegetation that is cut across in several areas by rivers. There are equally towns and especially villages isolated in some areas; having traditions that have long existed and keep on passing from generation to generation. Some of these villages are good camping sites. The north has distinct vegetation from the south; there is a visible change from dense forests in the south to a savannah landscape in the north. This begins with a vast expanse of lowland prairies on the Adamawa plateau (grazing zone) towards the north between Maroua and Kousseri on immense dry plains which tend to be dominated by a Sahel steppe vegetation. Culturally, annual traditional festivals are often organized in different areas of the country; these are opportunities of seeing different traditional dances and costumes. Examples are: the ‘Ngondo’ of the coastal people, funerals of the Western people, the ‘Ngoun’ of the Bamoun People which has become very popular and the Nyem-Nyem festival in the Adamawa. Big towns like Yaoundé and Douala with their immense infrastructure of hotels, banks, conference halls and hotels are favorable sites for international conferences and business. There are also several lodging/hosting services in Cameroon to take care of tourists. There are today more than 188 classified structures with a carrying capacity of over 7223 rooms, about 10835 beds amongst which are campsites in national parks; 193 restaurants of international standard offering both local and foreign meals. There are also several possibilities of carrying out leisure activities like golf clubs, night clubs, bars, theatre halls and swimming pools. There are more than 50 travel agencies that are specialized in organizing tours and taking tourists to different locations; ensuring their security, nice stay and safe return. Cameroon also has three international airports that regularly serve international flights. There are equally internal flights to the nine secondary airports found in different locations. There is equally a good road network that links the major towns and provincial capitals as well as principal tourist sites in the country. A railway line runs from the south to the north, moving from Douala to Yaounde and finally to Ngaoundere. Cameroon is an ideal tourist destination in Africa and has a good record of security. The population is very welcoming to strangers and has much to offer in terms of culture, arts and behaviors. A visit to Cameroon could be equated to visiting the whole African Continent in summary. It is therefore not wrong to refer to this country as ‘Africa in miniature’. Cameroon today has about 20 protected areas in the form of national parks, game reserves and sanctuaries; being indisputable potentials for tourism and ecotourism. The first national park in Cameroon dates over 30 decades and today she has double the total number of National Parks compared to a prominent tourist destination like Kanya. For over 2 decades, the valorization of the national patrimony towards tourist ends was carried out only in the two Northern provinces (the North and Extreme North provinces) as well as towards the Littoral (towards Douala). Six of the first created nine national parks are found in the North of Cameroon. With lots of potentials that Cameroon has, it could have logically been one of the greatest tourist destinations in Africa, yet this is not the case. Cameroon has a 30 year timid experience in tourism which is still in difficulties. There is the urgent need to transform some of these existing tourist sites to ecotourist sites to ensure sustainability and environmental protection before they become completely destroyed. Kimbi game reserve, Dja game reserve, Douala Edea reserve, Kalfou, Lake, Ossa reserve, Mbi crater and Santchou game reserve. Gerard Noireau (2003) in ‘Une Destination Touristique Emergente’, MARCHE NOUVEAUX, n.13.